The rise of alternative finance has seen the invention and expansion of many options, but perhaps none are more accessible or capture the imagination more than crowdfunding. Most are familiar with the rewards-based or donation-based models often used to raise money for a good cause, but fewer know about equity crowdfunding and how useful it can be to startups. 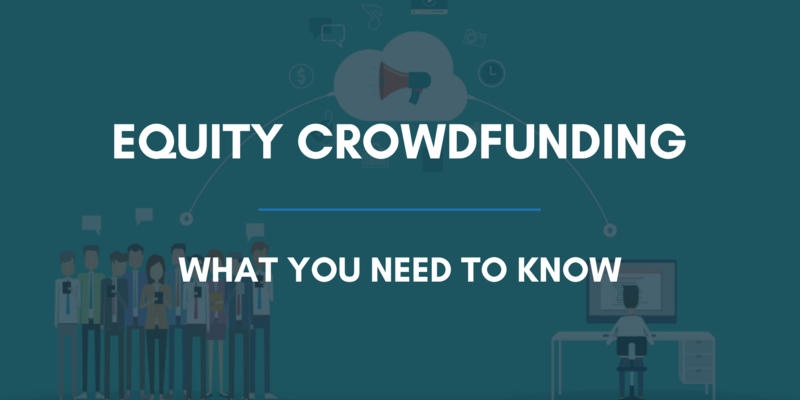 Here’s a look at how and why equity crowdfunding works, the advantages and disadvantages, and how to launch a successful campaign. Company-led platforms: ‘Companies will set their own investment terms and valuation after listing on a platform, offering their own class of shares to investors.’ Major UK platforms using this model include Crowdcube and Seedrs. Investor-led platforms: Members of the platform ‘invest alongside professional investors, who have negotiated investment terms to whatever price per share they are happy to invest their money at.’ SyndicateRoom follows this model. -In 2014, Cambridge-based healthtech company Oval Medical Technologies raised £1.1 million on SyndicateRoom. Two years later, the company became SyndicateRoom’s first exit following its acquisition by SMC Ltd.
-In a very different sector, there’s Tossed, a London-based salad bar business. Their ten-year anniversary campaign proved that equity crowdfunding is for more than just startups, raising over £1 million by allowing supporters to invest in the company and enjoy special perks. -UK banking app start-up Monzo launched a campaign that raised £1 million in 96 seconds. The company has secured over £109 million since 2015 through a combination of equity crowdfunding campaigns and VC deals. Myth #1: Crowdfunding is for businesses who can’t secure VC funding. Successful companies launch crowdfunding campaigns is a deliberate choice, not a fallback. Some startups that find success on crowdfunding platforms secure VC deals shortly after. Myth #2: Serious investors do not invest on these platforms. Some crowdfunding platforms cater exclusively to experienced, savvy investors. Myth #3: Crowdfunding is fast cash. While campaigns are usually short (around 30 to 60 days), successful crowdfunding requires a great deal of planning and work. Whether or not equity crowdfunding is an option for your business at this stage may come down to your priorities and what you hope to gain from your fundraising experience other than capital. Many angel and VC deals remain relatively quiet, with little media coverage. The number of investors, combined with the B2C nature of most businesses that crowdfund, make a crowdfunding campaign an excellent marketing opportunity. A simple, shareable blog post, banner, or video about your campaign on your website can attract investors and customers alike to your brand. Once you have investors on board, they’ll often act as brand ambassadors, eager to tell others about a business they believe in and support. One of the main advantages of angel and VC support is access to investors’ networks of contacts, who might provide help with every aspect of your business. With crowdfunding, you might have 1,000 investors - and 1,000 networks to tap into as you grow your business. Advantage #3: Access to many investors at once. Reaching VC firms and approaching them one by one can be difficult and time-consuming. Equity crowdfunding allows access to many investors who can see learn about your business and reach out to you at any time on the platform. While the brand exposure involved in crowdfunding can be great for marketing, it also means you risk others copying your ideas. If the fear of this holds you back from considering crowdfunding, learn what you can do to protect your ideas: research patents, trademarks, copyright, and any other standard protections in your sector. Depending on the platform, crowdfunding investors may be relatively new to the game or take a more casual approach to investing than angels or VCs. This means that you may not receive the kind of expert support you might expect from an investor. In addition, since crowdfunding investors are likely to hold a much smaller stake in your business than, for example, a VC firm, they have less ‘skin in the game’ and may not feel the sense of urgency about your business’s growth. While the amount that can be raised through crowdfunding is always growing, in most cases, the upper limit on investment is often lower than at major VC firms. Consider how much you want to raise and whether crowdfunding can realistically help you raise it. Preparation is the key to success in crowdfunding. How investors respond to your campaign may be out of your control, but there’s plenty you can do to increase your odds of success. Time your campaign well. In order to impress investors, your businesses need to have some achievements and milestones under its belt. Launch your campaign too soon into your business’s journey, and you risk not being taken seriously. Choose your platform strategically. Resist the temptation to use the first platform you research or the one that seems most popular at the moment. Tom Horbye, Head of Campaigns at Seedrs, suggests using the following questions to evaluate each option. -What kind of people are investing on this site, and are they likely to be interested in my product? Different platforms often attract different kinds of investors. -What class of shares are offered and who will manage them? Does the platform allow you to offer A and B class shares or are all investors treated the same, offered ordinary shares and managed under a simple, organised structure? -When and how will you get your money? -Who can use the platform? Is this limited to people living in the UK? -How much will the campaign cost? Read the terms and conditions, looking out for any hidden fees and caveats. Will you be able to keep any money you raise, or will your campaign be forfeited if you don’t reach your goal? How much will your campaign actually cost, in the best and worst case scenarios? Study current and past successes on your platform. Look to examples of successful campaigns, both their business and how they presented it to the world, and see what you can apply to your own campaign. -You and your product’s story. Showcase your product, your story, and yourself. -Your potential investor’s story. Investors care more about how your product is going to solve a problem than about the product itself. So tell them a story about your product making their lives easier. In other words, highlight the why of your product, not the what. Even if investors don’t intend to become customers, they need to understand why others would spend money on your product or service. Start on all of these well before your campaign launch. Maintain your investor community. Even as your network of customers and investors grows, maintain your connections and keep your investors updated. Return the loyalty they show you and your business by investing in you on your earliest days. In a few short years, equity crowdfunding has grown to become one of the most viable options for entrepreneurs looking to raise growth capital and promote their brand. The size and variety of platforms available in the UK and beyond gives them an unprecedented number and choice of potential investors. Now that you know the basics, consider exploring your options. Want to learn more about putting together a winning campaign and connect with major UK platforms? Then join us for our 15th May workshop, ‘How to Create a Successful Crowdfunding Campaign’, featuring Seedrs, SyndicateRoom, Crowdcube and more! The event begins at 17.30 and will be held at WeWork Waterhouse Square. Visit the Eventbrite page to secure your ticket now!